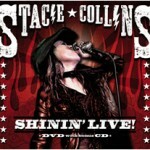 STACIE COLLINS du pur son country de Nashville … Sa musique est un mélange de rock, country et blues, produit par la légende du rock Dan Baird (The Georgia Satellites / Homemade Sin) . Stacie Collins hears it every night. Same thing. “Over and over I get, “I’ve never seen a girl do that,’” says Collins, who tends to smile sweetly and just say, “Thank you,” after finishing shows where she and her harmonica howl, moan, rock and roll through hours of high-intensity, table-jumping, rejuvenating, exhilarating, rock & roll music. 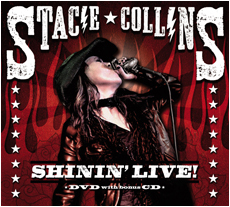 “Imagine a late-night lock-in jam with Aerosmith, the Stones, and ZZ Top, fronted by the equivalent of Ronnie Van Zant, or maybe even Shania Twain with balls,” is how Classic Rock magazine described this thing that Collins does. She’s a favorite of Dan Baird, a Chuck ’n’ duck rocker who took the Georgia Satellites to chart-topping heights. 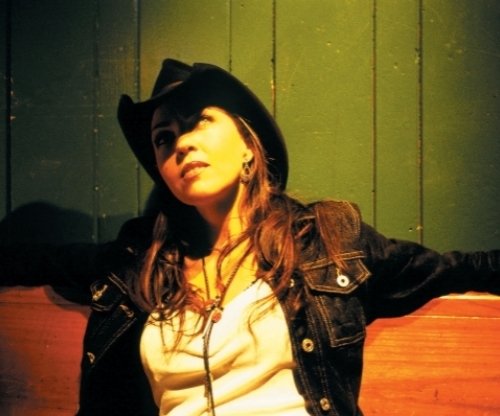 She’s a favorite of Warner E. Hodges and Jason Ringenberg of Jason & the Scorchers, who invented country-punk music. Her husband, co-writer, and producer, Al Collins, plays bass these days for the Scorchers, but Scorcher-dom isn’t cause for fandom. Warner and Jason don’t like her ‘cause she’s related. They like her ‘cause she’s badass.